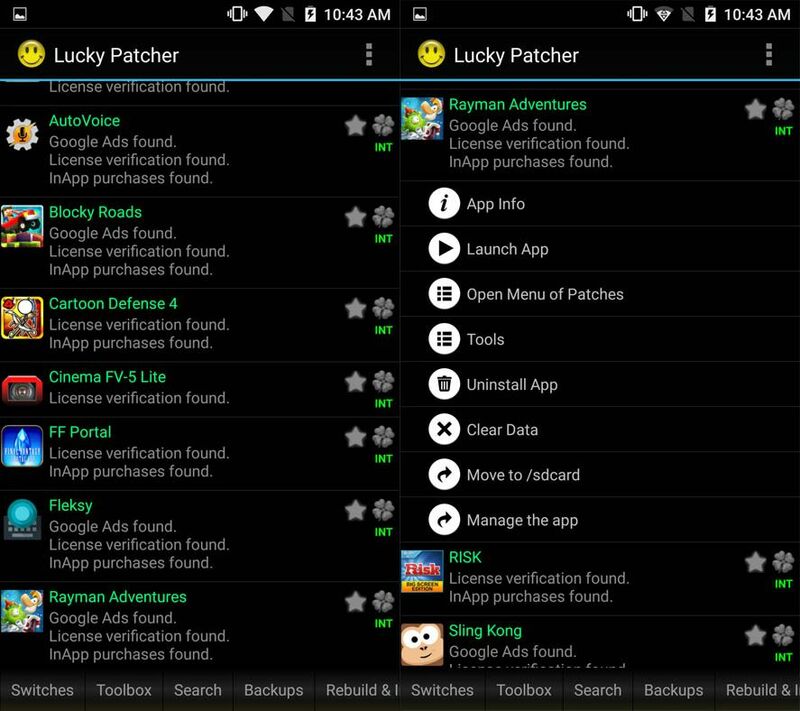 Home Software Reviews What exactly is Lucky Patcher? 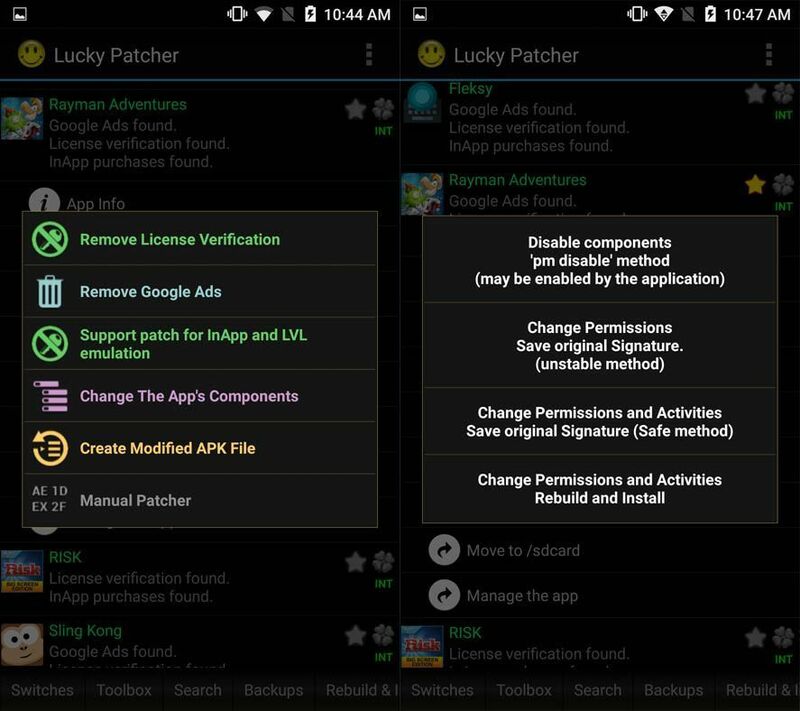 Lucky Patcher analyzes the list of installed apps on your device and indicates the actions you can carry out, among which you’ll find the possibility to remove the license verification included on many apps that requires them to be downloaded from Google Play to work; modify the associated permissions; extract the APK file to do backups; and other illicit actions like removing Google Ads or unlocking paid apps to be able to install them on other devices. The latter in particular we obviously do not support around here. Although some of the mentioned operations are completely illegal, others can get you out of more than one predicament. The association of an app with Google Play, for instance, can make it very complicated to install it from external sources, forcing you to go through the official Android store, which a lot of people prefer not to do. On the other hand, by extracting apps and eliminating their permissions you can make apps run on devices that on the surface are incompatible, or transfer apps between smartphones and tablets that officially are not compatible with both platforms. All this is just a teeny part of what you’ll find on Lucky Patcher, which offers loads of info about each app that could be highly helpful, from a compendium of all the associated permissions and their descriptions to the minimum version of Android required to run the app. It even tells you if an app has been modified or is the original, an ideal feature for checking the trustworthiness of an app you may have downloaded from some dusty corner of the Internet. Dors this work for Game of war fire age? If you use an iOS system, it wouldn’t work. If you have an Android system, you can’t find it on the Play Store, you have to search for it on the internet and dowload it. If you can’t download it, you have to go in the options and activate “Other downloads then from Play Store”. Does this work for marvel contest of champions???? You should also ad that installing the Xposed framework opens up a ton of other possibilities. Also if in doubt remove odex, open patched licesne and wipe dalvix data and retry again, make sure to check for custom patches udates weekly, etc…. Source credit as well. this is a greate article. which shows te power of lucky patche apk. What is rooted devicee and it is necessary??? When i Crack a App And i Open The App Its only Shut Down, Don’t Ask Have to Delete And Download, It’s Isn’t Working.